Walk-ins are always welcome; however, we strongly recommend calling ahead so that we may be best prepared to meet your specific needs, whether you are looking to purchase or sell an instrument or need an adjustment or repair. Darnton & Hersh is located in Chicago's Loop, near Symphony Center and the Art Institute of Chicago. Convenient paid garage parking is just east of the building at 17 E Adams. We are close to numerous bus and train routes; CTA Red and Blue Lines stop nearby at Jackson while Purple, Brown, Green, Orange, and Pink Lines are steps away at Adams and Wabash. 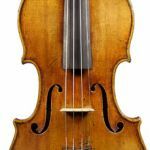 Concerts and other events that formerly would have been held in the Darnton & Hersh Salon are now under the auspices of a new not-for-profit music incubator organization, Guarneri Hall NFP. 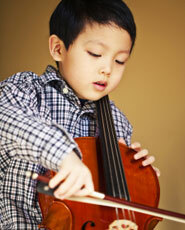 Guarneri Hall is located on the third floor of the same building where Darnton & Hersh is located, in Chicago's Loop. 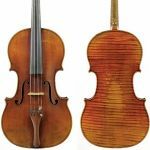 If you would like to be informed of Guarneri Hall events, head on over to their website to subscribe and receive notifications of concerts and other exciting events! 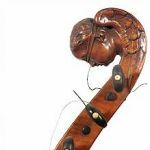 Visit Soundpost Online, an archive of articles published from 2000 through 2006, geared to string players, connoisseurs, and makers (external website). 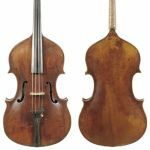 Visit the Midwest String Rentals website to find out about our outstanding student rental instruments: violins, violas, and cellos.